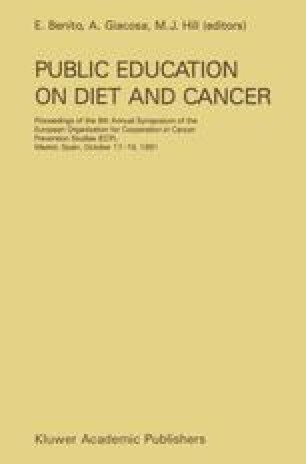 Doll and Peto (1981), in their review on ‘Quantitative Estimates of Avoidable Risks of Cancer’ state that “it may be possible to reduce US cancer death rates by practicable dietary means by as much as 35%”. This reduction results from a 90% reduction of deaths from stomach and large bowel cancer and a 50% reduction of cancer of the endometrium, gallbladder, pancreas and breast. The degree of uncertainty in this estimate is expected to be large, however, so that values between 10% and 70% are considered possible. The authors also indicate that “there is still no precise and reliable evidence as to exactly what dietary changes would be of major importance”.